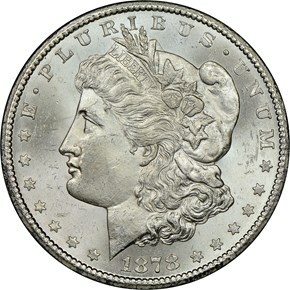 1878 marked the first year of production for the Morgan dollar. 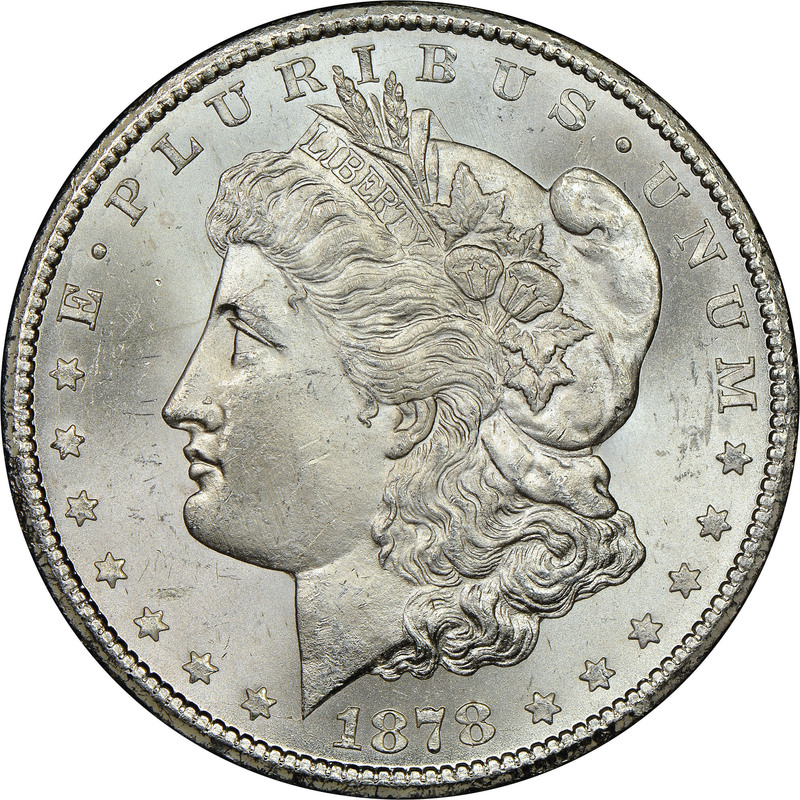 Over 2.2 million examples were struck at the Carson City Mint that year. However, uncirculated examples are far scarcer for this issue than the 1882-CC, 1883-CC or 1884-CC. 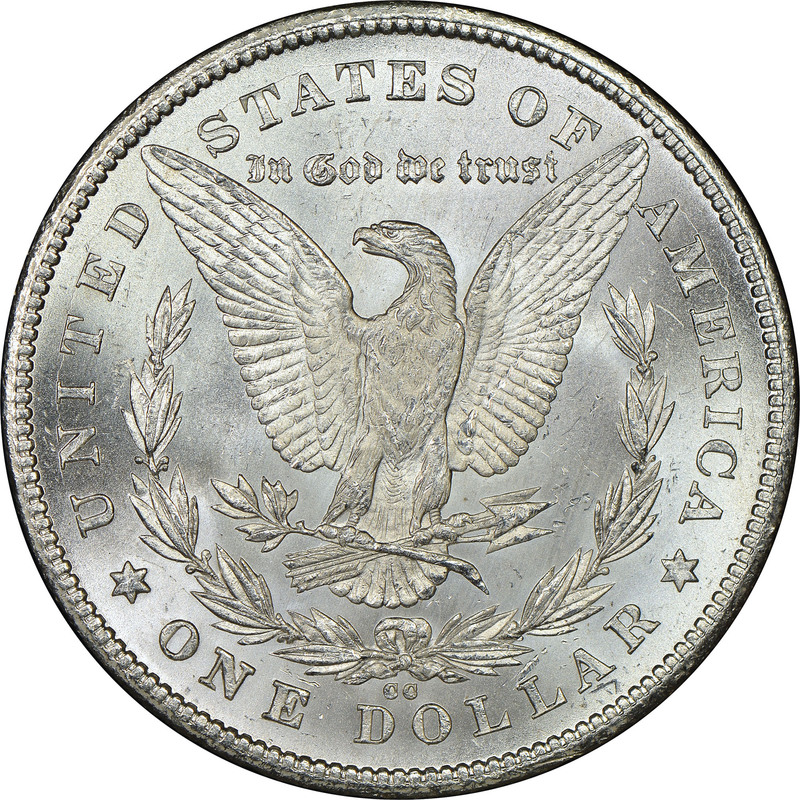 This is due to the GSA sales of uncirculated Carson City dollars in the 1970's, which had record numbers of the 1882-1884 Carson City Morgan dollars, and very few of the 1878 issue. 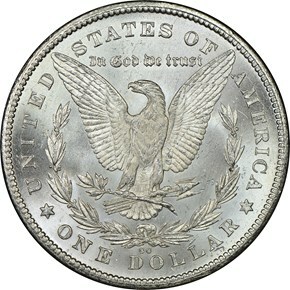 In fact, less thanonly 61,000 1878-CC Morgan dollars were in the hoard, versus 962,000 of the 1884-CC issue! 3/22/2011 — A recent example from our conservation laboratory.